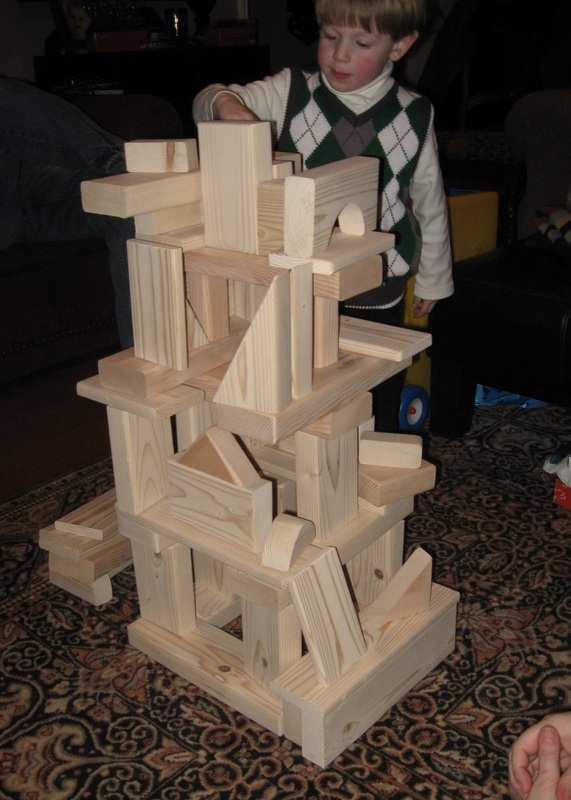 We build and enhance numerous original pieces that serve as options for all-age play. We are very proud of our creations, and you can see some of them below. NOTE: If you see anything that you're interested in, take a look at the caption. The images captioned with "AVAILABLE!" are more than likely available in our inventory. 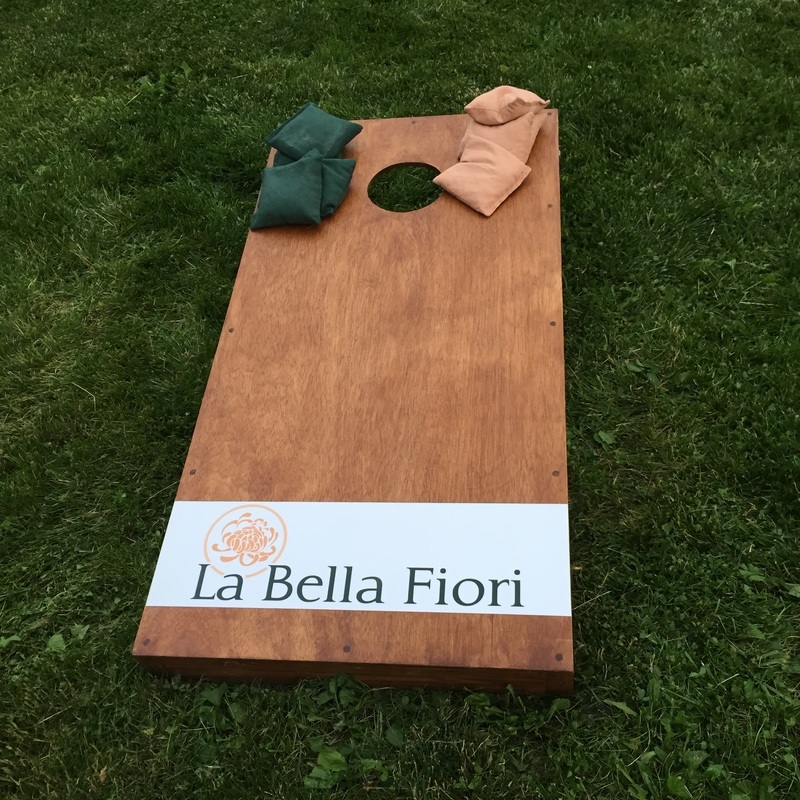 The others have sold already, but we'd love to create something like it just for you. If you're interested in exploring this option, fill in the form below or contact us. 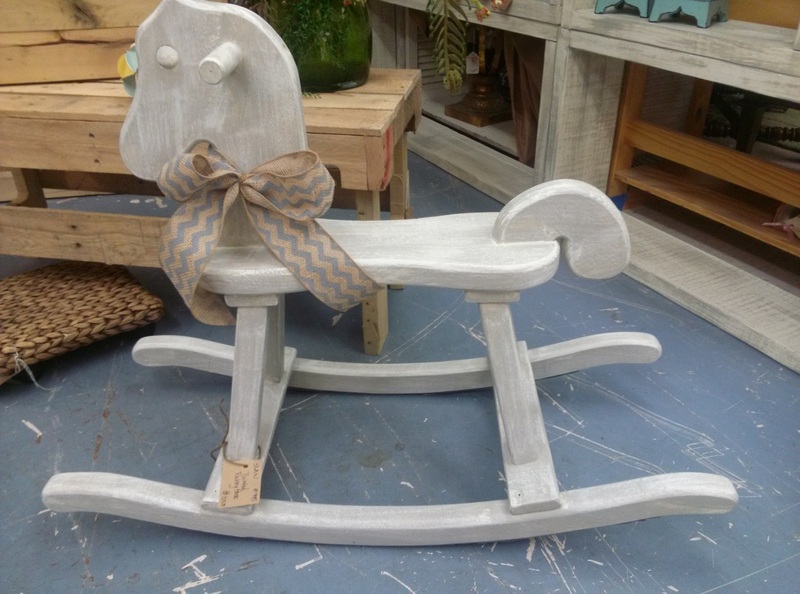 Rocking horse with custom distressed wash & chevron bow. 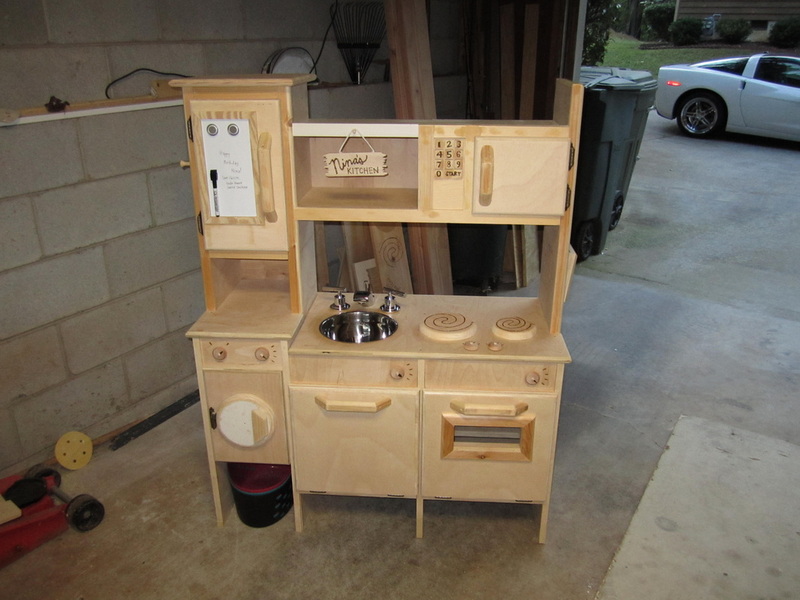 Hand crafted kitchen complete with fridge, microwave, dishwasher, oven, sink, stove top, mail slot, and hanging hooks. Hand crafted speed machine (click on image for details). 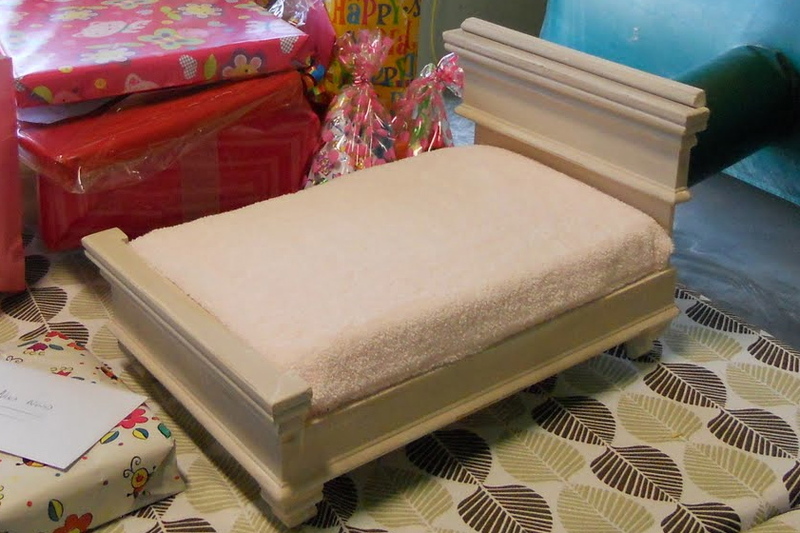 Hand crafted fancy doll bed. 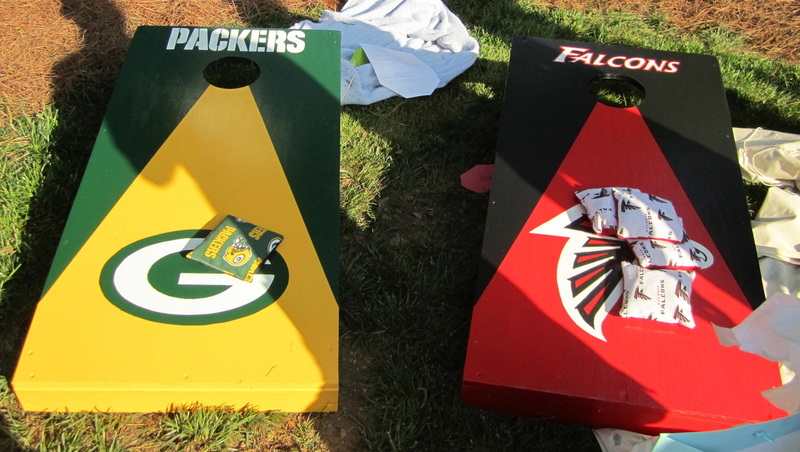 A hand crafted custom painted house divided baggo/cornhold set. 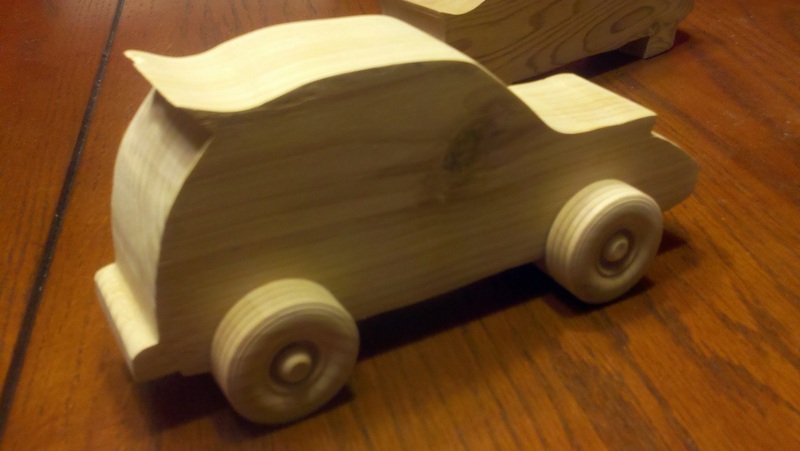 Hand cut & sanded wooden blocks (click on image for details).